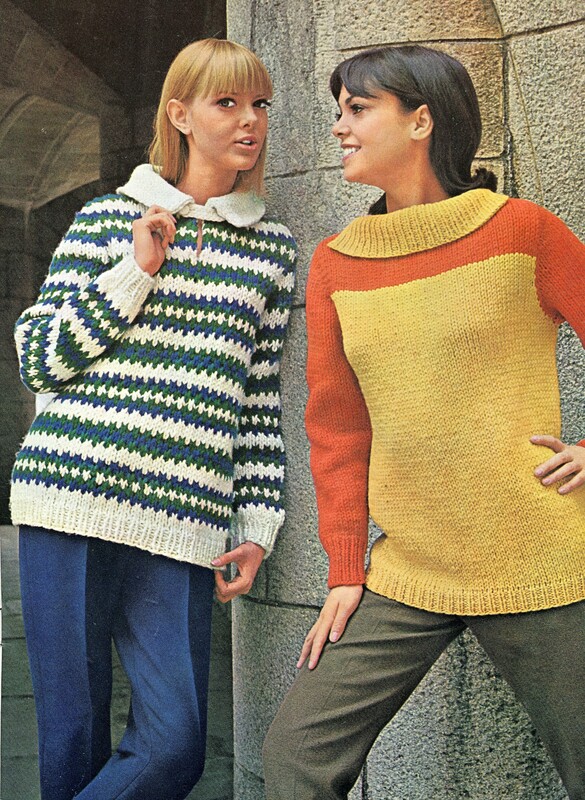 Posted August 25, 2017 by finnfemme & filed under Fashion, Vintage. 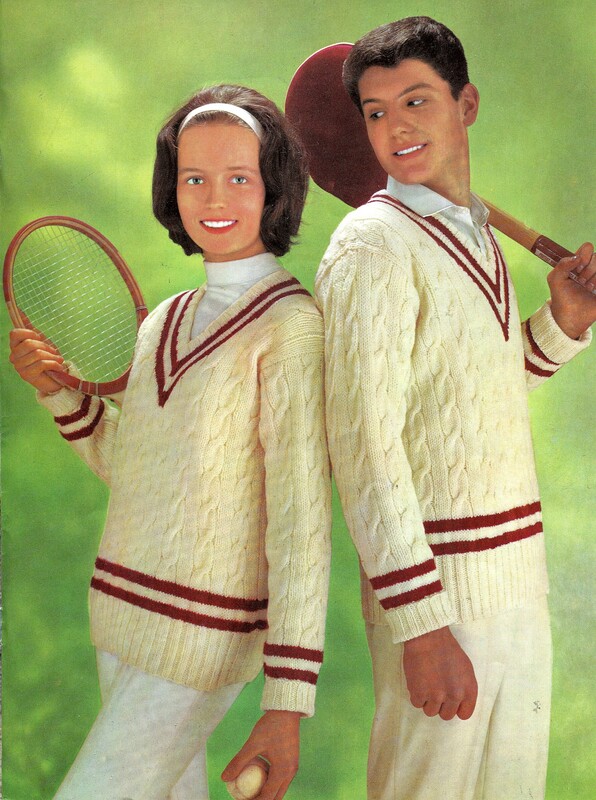 I recently snapped up this beauty of a catalog at a thrift store. “POP Fashions to knit and crochet in Bear Brand and Fleisher Yarns”, dated 1965. 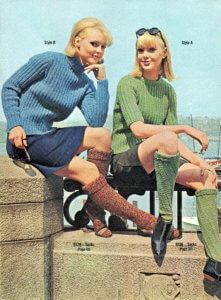 This was the height of the Mod era, where the Beatles and mini skirts were taking center stage. Fun young fashion was really beginning to take off, with sleek lines, bright colors and bold patterns. 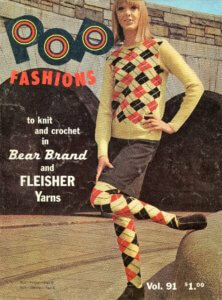 This cover photo shows a mod take on an argyle sweater, with matching stockings! 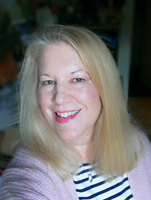 < An argyle vest, and a striped mohair shell top. 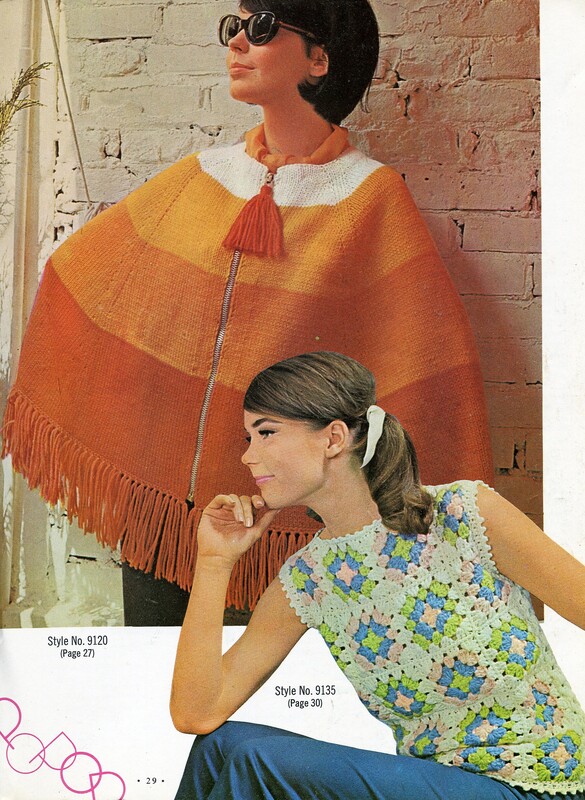 Here we have that ’60s favorite, the “Poor Boy” sweater, with its vertical ribbing. Matching socks too! 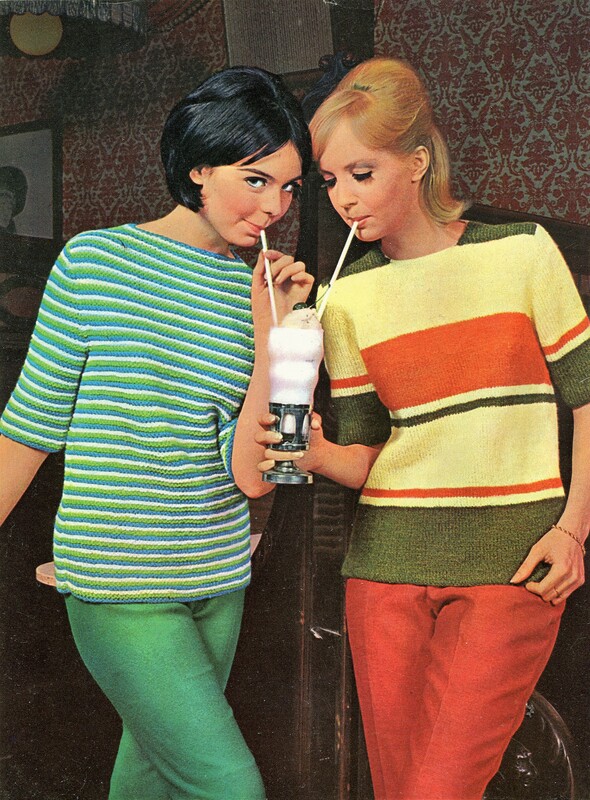 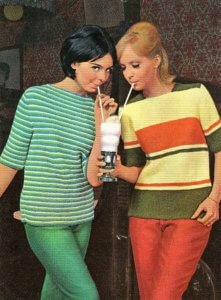 Bright striped pullovers to share a soda in! 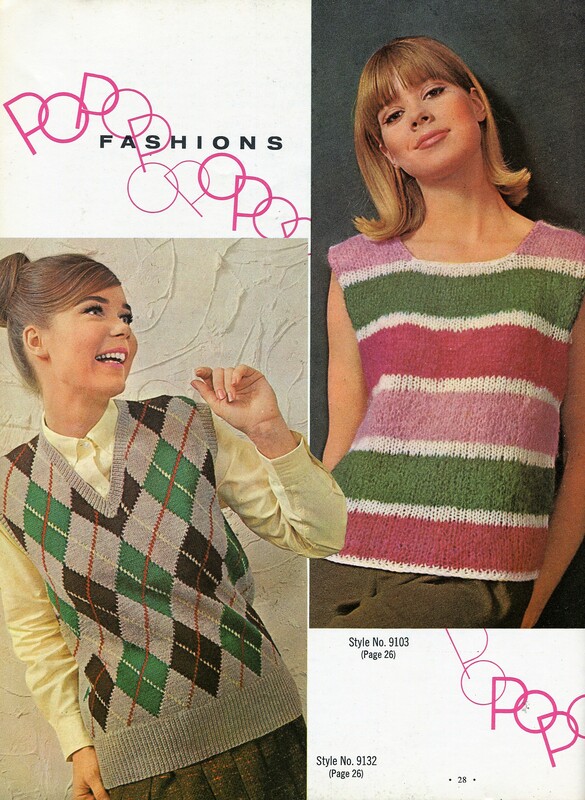 < Nubby yarn shell top, and pom-pom neckline sweater. Chunky knit striped sweater with collar, and bright color-block cowl neck sweater. 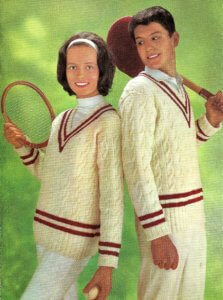 A mod take on the classic his-and-hers tennis sweaters.